Automating business processes can be completed through electronic receipt, business transactions, field value changes and data entry. ProActive can trigger events and events can be conditioned by the changes that have occurred. For example, only trigger event if the customer balance now exceeds the credit limit. Optimise automation per customer, activity and/or user – the choices are almost limitless. ProActive allowed us to fully leverage the power of our enterprise. We've automated previously manual systems while simultaneously increasing accuracy and throughput. Using its integrated rules engine, ProActive allows you to apply logic to events that will trigger/launch actions depending upon values and variables.  Add multiple rules to build powerful workflow to add intelligence and automation to common and/or complex procedures to streamline processes.